In recent years, patients have begun to raise concern over mercury fillings. For many years, fillings made from metal components were used most frequently because they were both affordable and durable. However, recent studies have indicated that there is a connection between metal fillings and illnesses following an increase in a patient's mercury levels. Patients are also concerned after learning that the mercury levels increase during actions like chewing or brushing, because the metal is heated. Because of this risk, along with the unattractive silver or dark appearance of the filling, many patients are asking to have their old metal fillings removed and replaced with an alternative that does not include elemental mercury. 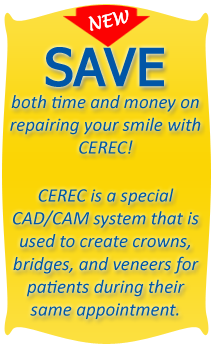 Metal or amalgam fillings can be replaced with fillings made of materials that are both durable and attractive. Using copious amounts of water to keep the fillings cool, therefore ensuring less mercury vapors are released during the procedure. Use of a special Swedish isolation product to isolate the tooth during the procedure. The dams keep the filling material as well as mercury vapor localized to ensure the patient doesn't swallow it. Proper protective material and gear utilized by the dentist and his team, which will reduce the mercury vapor in the air. High volume suction is used to ensure that the toxic material is removed quickly and effectively. This suction is critical in minimizing the risk of exposure to all parties involved. Providing a drape during the procedure so the patient does not "take home" mercury splatter. Following proper disposal methods to ensure that any hazardous materials are not reintroduced to the environment. Removing mercury fillings can be done safely and effectively when proper protocols must be followed. If you're thinking about having your fillings removed, be sure to work with a dentist who is trained and takes the procedure seriously. 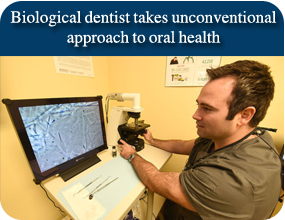 Dr. Pfister believes in ensuring the oral health of his patients and is committed to use only safe materials. Not only can you feel confident that Dr. Pfister will provide you with expert care you can rest assured that he will only use materials and suggest procedures that are proven safe and effective.